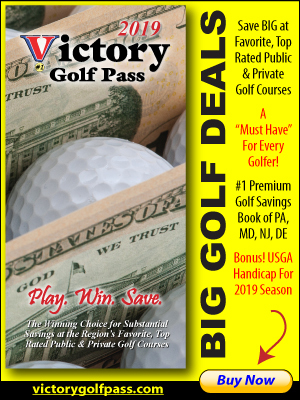 2 Day, 36 Hole Net Tournament June 24-25. 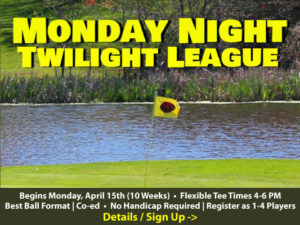 Members, Associations, Season Ticket Holders. Everyone has a chance to win! 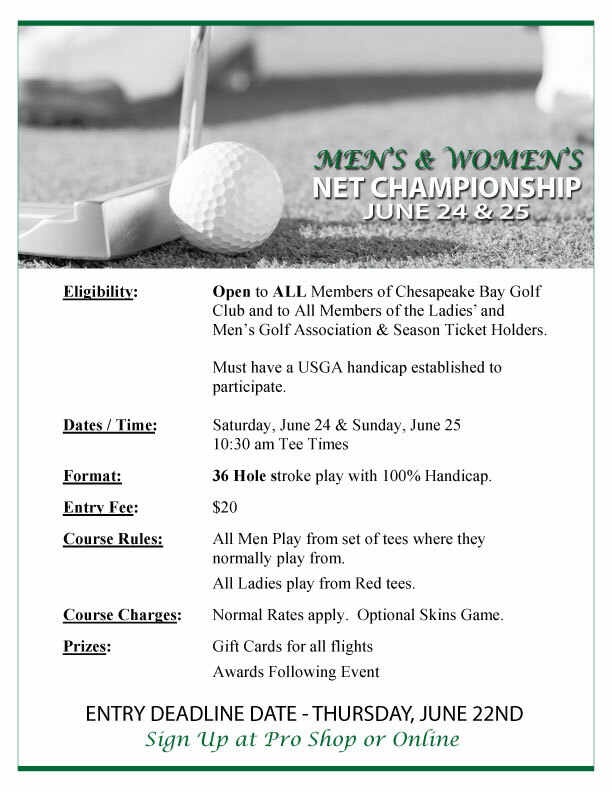 Chesapeake Bay Golf Club’s Men’s & Women’s Net Championship is a 2 Day, 36 Hole Net Tournament Saturday June 24th and Sunday June 25th at Chesapeake Bay Golf Club. No Gross Prizes. Everyone has a chance to win!